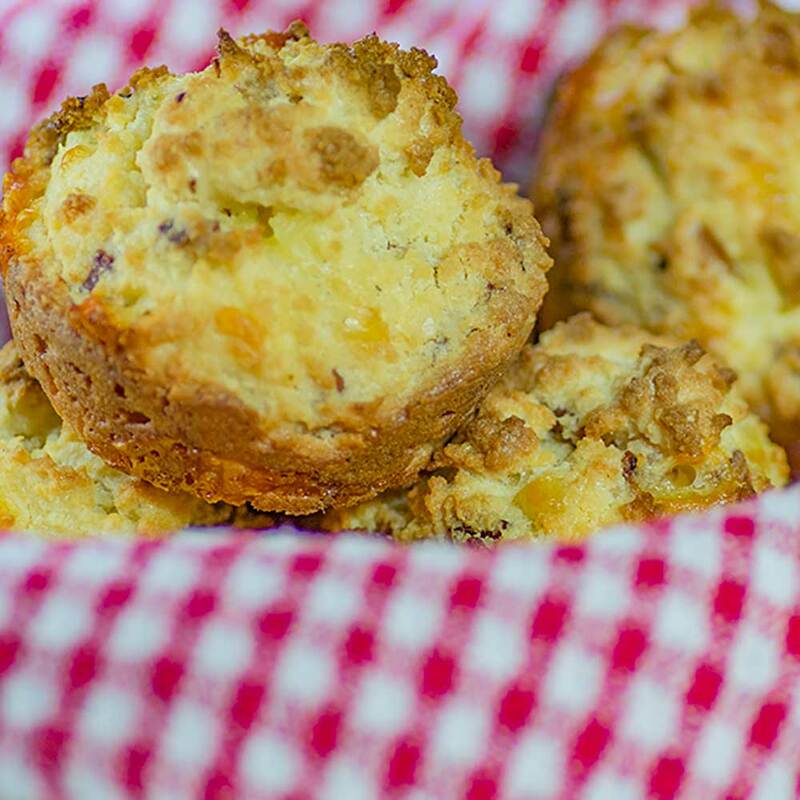 Keto Bacon & Sour Cream Muffins Recipe - "Low-Carb & Savoury"
Our Bacon and Sour Cream Keto Muffins recipe is quickly and easily reheated in a microwave for a high-fat meal when you’re on the run. These Keto Muffins are delicious smothered in butter. Great as a keto snack between meals. 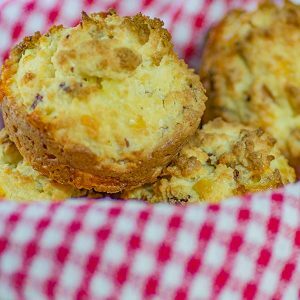 These Low Carb Bacon and Sour Cream Keto Muffins can be kept in the fridge for 5 days. Keep them on hand as a craving buster or frozen for those days when you don’t feel like cooking. This recipe makes 6 low carb muffins. 1 muffin is one serve. Add almond meal, coconut flour, baking powder, salt and pepper in your stand mixer and combine. Add the eggs, red wine vinegar, sour cream and cheddar and mix until just combined. Set aside. Bake for 15-18 minutes, check that they are cooked through using the skewer method – if the skewer comes out clean they are done. 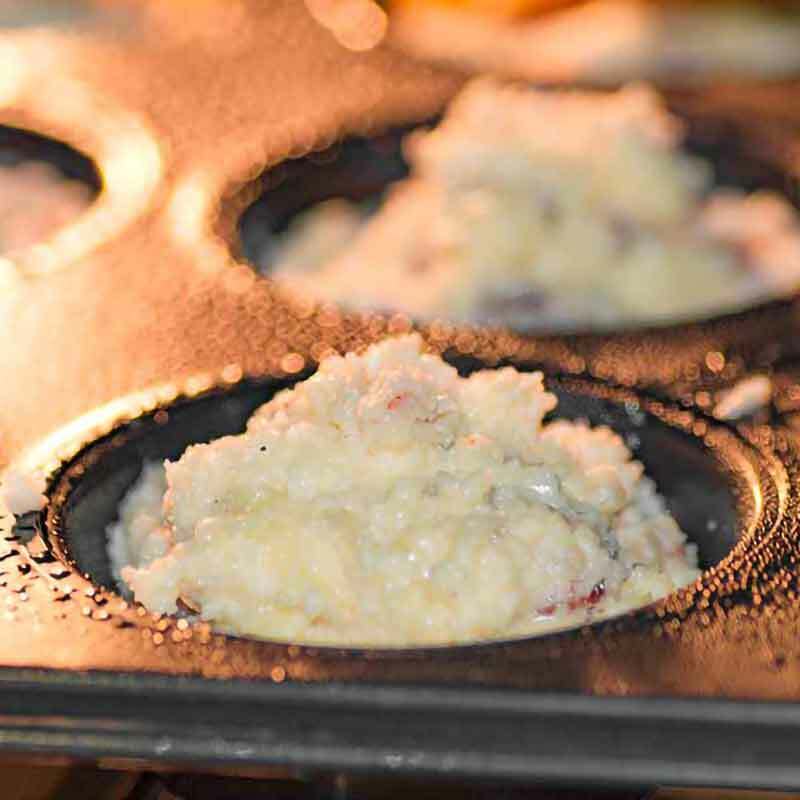 To make more Bacon and Sour Cream Low Carb Muffins adjust the recipe card above. It looks yummy and delicious. Hope my kids will love to have it on their breakfast. Thank you for your kind words. I hope your kids love them! What a great idea to add garlic. Thank you for your kind words! How many muffins are in one serving? Just one? 1 muffin is 1 serve. Would any of these keto recipes workn in a gas oven?